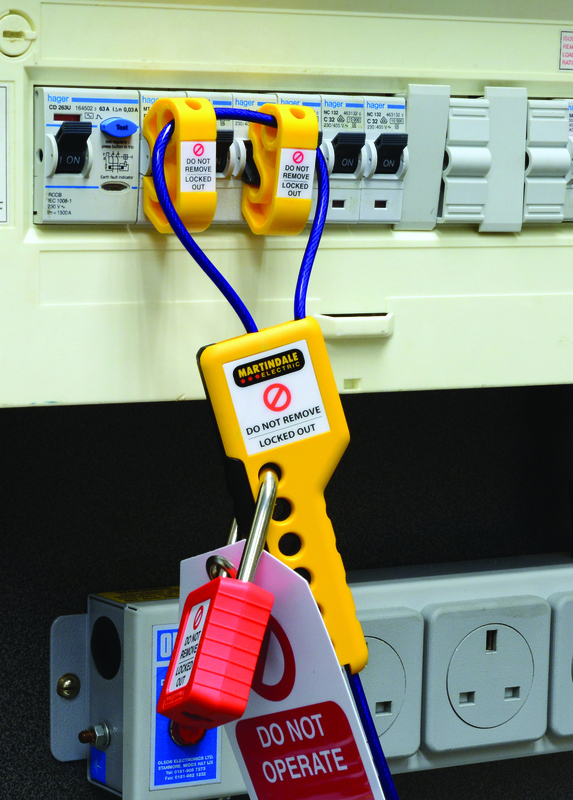 Martindale Electric has launched its latest Cablok series, which provides installers and maintenance teams with a reliable solution for locking off multiple breakers, switches and valves, to prevent the re-energising of circuits and systems during maintenance, as part of a safe isolation procedure. The range features a flexible PVC-insulated steel cable which is easy to thread and can be simply adjusted to suit the required length before locking off with a simple squeeze action. Incorporating a built-in safety hasp, with space for up to six padlocks to be securely fixed, it allows multiple operatives to safely work on the same system. For additional safety, the system cannot be re-energised until all padlocks have been released. Suitable for both the electrical and industrial market, the new ergonomically designed series is available with 1m, 3m and 5m cable lengths and is compatible with the Martindale Electric PAD10 and PAD20R padlocks. The new range make it easy to ensure all types of circuits can be de-energised and properly isolated prior to maintenance of plant and equipment, preventing potentially fatal accidents and enabling compliance with HSG85, Electricity at Work Regulations.